We were lucky enough to spend the day with Jeff and Penny. 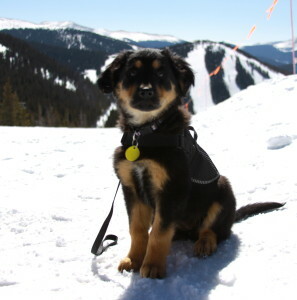 Penny is Keystone’s newest (and most adorable) recruit, currently training to join the avy dog team! 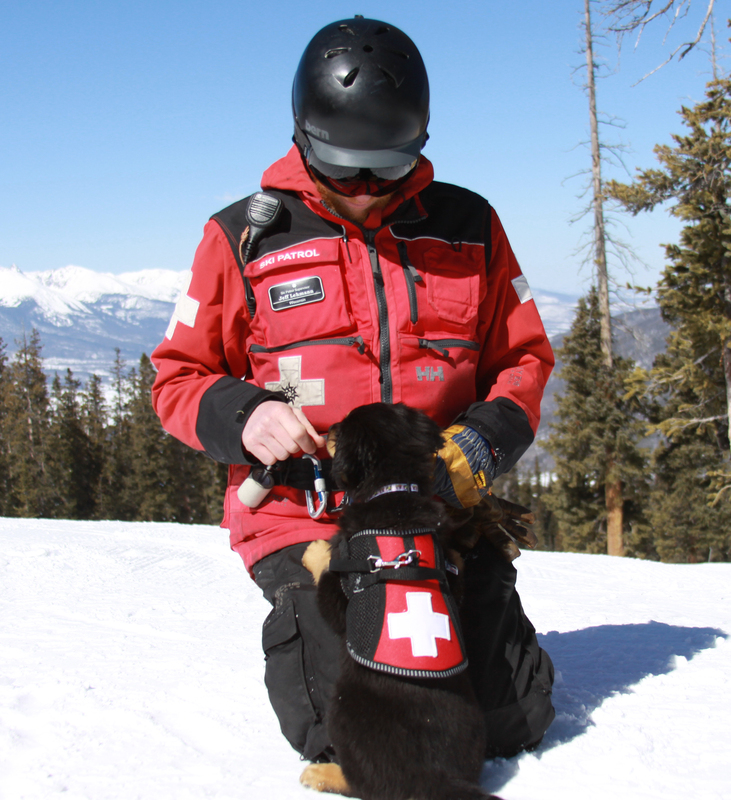 Jeff, the patroller who is Penny’s handler and owner, told us all about working with avy dogs. What made you want to be a handler? I enjoy working with dogs and I am a part of our Snow Safety Program. Penny is a Golden Retriever Australian Shepard mix. She is 12 weeks old and came from Mountain Pet Rescue in Winter Park. Pilots for Puppies flew her and her family out here from Missouri because they were scheduled to be put down. It starts with a lot of familiarization with people and their environment. They learn to ride up chair lifts, ride in toboggans, and on snowmobiles. Then it’s teaching them a game of hide and seek. What commands are you teaching Penny that you wouldn’t typically teach a puppy? Search is the main one; we only use that word when in full scenario mode. What happens when you get a rescue call? The flight for life helicopter comes to Keystone and picks up the team, then flies to the avalanche site where the work begins. Does she receive any benefits from working at Keystone? She gets to come to work at Keystone and wear a patrol vest! How may avy dogs does keystone have? Do the dogs learn from each other? No they do not learn from each other, they do get to hang out together while at work when not in training. 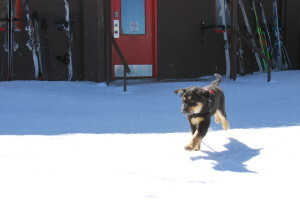 What are the risks involved in being an avy dog? Putting yourself and the dog in Avalanche terrain and flying in helicopters are the biggest risks. 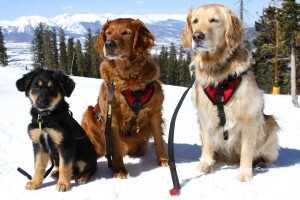 What do most people not know about avy dogs? They can’t be afraid of helicopters or they won’t make the cut. What do the dogs do on their off time? They get to go on hikes, play in the river, all the normal dog adventures!